Hi Guys, I'm back again for another month's report on the most watched tutorials on TheGuitarLesson.com. Every month, I like to share which lessons my online students have been watching, hoping that it would motivate others to pick up the guitar and start practicing those songs as well. 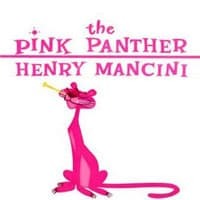 The theme to Pink Panther is a great beginner song that even early stage guitar students can grasp relatively quickly. It was actually amongst the first songs I ever learned as well. It will teach you how to play several techniques, including lead guitar techniques, power chords, and even power chord slides. And of course, it's quirky nature makes it lots of fun to play! 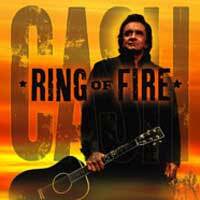 Another must know song for beginner students, this Johnny Cash classic will teach you basic chords and strumming, as well as the popular I-IV-V chord progression. It's loads of fun to play, and beginners can really appreciate that learning to play such a great song also helps in cementing a few basic guitar skills, like chord changes. 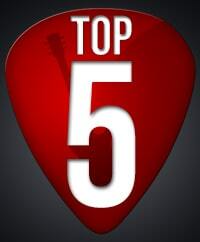 I can't really remember this song ever appearing on the top 5 list, so let's give a round of applause to the newcomer. 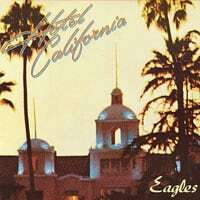 Sometimes there are songs that get picked up on radio stations, and become popular again, perhaps that's what is happening with Hotel California now as well. Have a look at the lesson, you'll learn the famous intro solo, and all of the chords you'll need to play along with the remainder of this popular Eagles song. 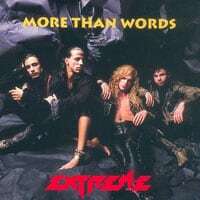 More Than Words is a great acoustic ballad, which is easy and fun to play on the acoustic guitar. It gives students a chance to learn a bunch of chords, as well as special techniques, like walking into a chord and slap-muting. I would truly advise you to learn to play More Than Words if you haven't already, you'll love it! 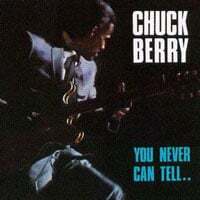 The great Chuck Berry passed away recently. He was the father of rock, and influenced hoards of musicians around the world. He lived a very interesting life, which you can read on his bio page. I'm glad to see that his song is at the top of the most watched list, I'm pretty sure it's because of people paying respect to his music and legacy. May he rest in peace. I'm sorry that the end of this post had a sadder tone, but that is natural with the passing of people you admire.